Since the beginning of the month, I have been quite happily stitching on my second "scrap the stash" quilt for the year which I have called "Winging It". "Flight of Fancy" finished in January of 2012. .... 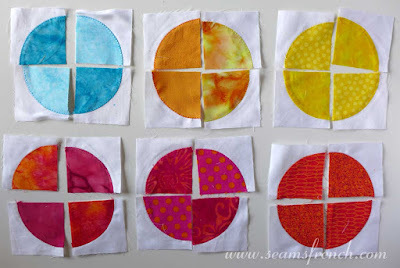 I had a lot of pre-appliqued quarter circles, pre-cut squares and as always, lots of strips left over. 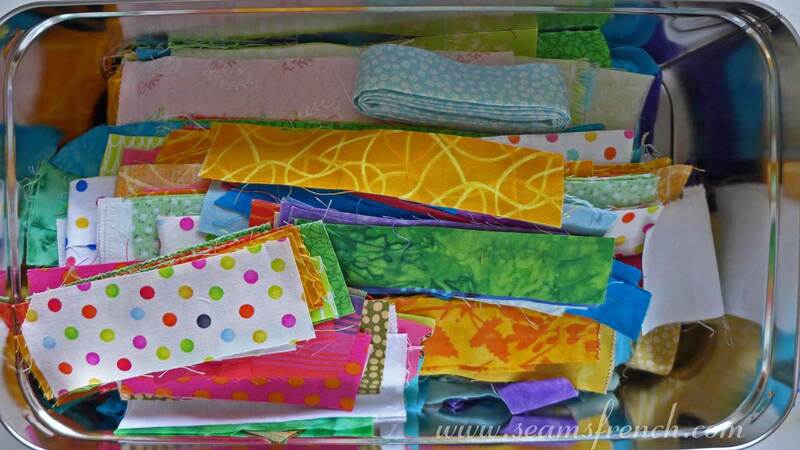 A box full of strips left over from a number of baby quilts. 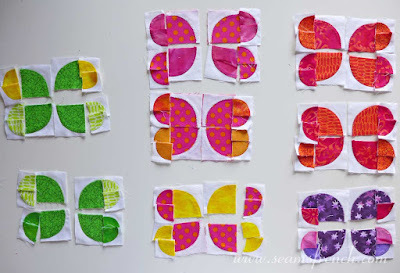 There are 3 different sizes of machine appliqued quarter circles. And, a variety of pre-cut squares. Some of these squares I have been re-cutting into smaller pieces. These prepared pieces lent themselves quite easily to evolving into butterflies, so they became the first block for "Winging It". 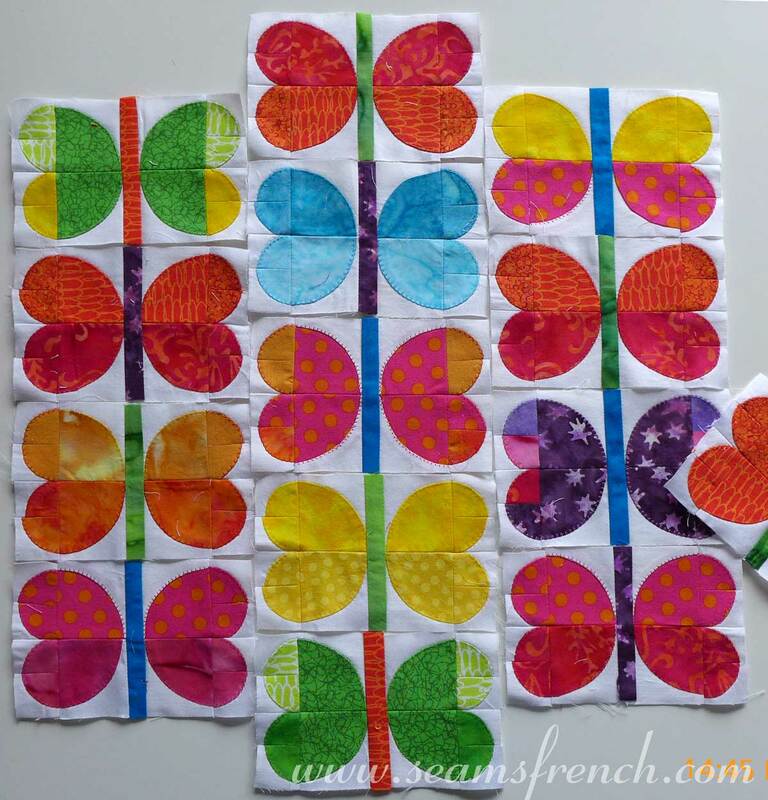 Adding the centre strip for the body makes these butterflies a little different from the ones in the original quilt (see top photo). .... I managed to squeak out 3 more birds from the same grouping. 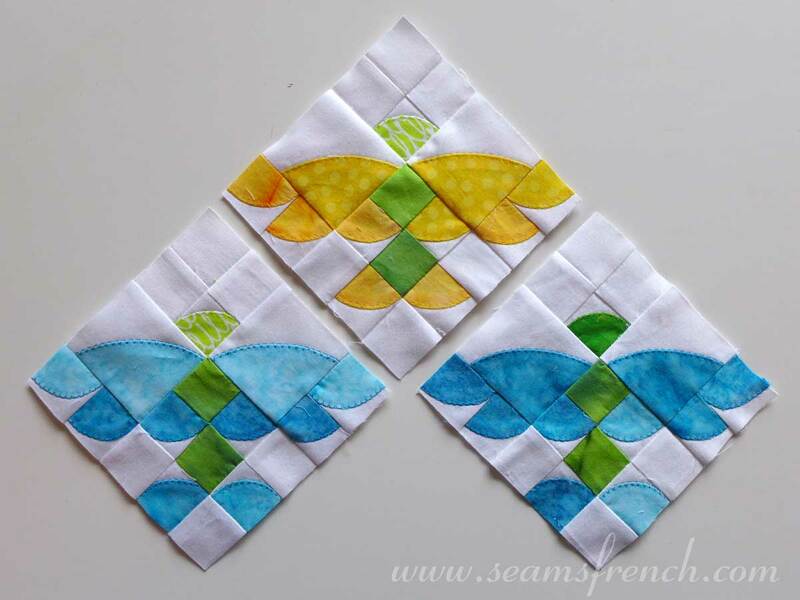 I have 32 blocks finished for the month of March, including 2 other styles of "winged creatures". More on that and some layout ideas next time. 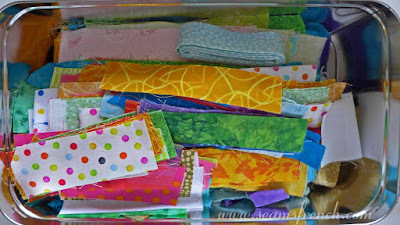 Time to focus on boutis and other quilting for a while. I love the original quilt. And those new butterflies and birds are adorable! I'm very impressed by how you reimagined all those scraps into something so unique and new. Well done! Thanks. Playing with these pieces is tons of fun. It's a little like a jigsaw puzzle, and it's fun concocting new creatures. 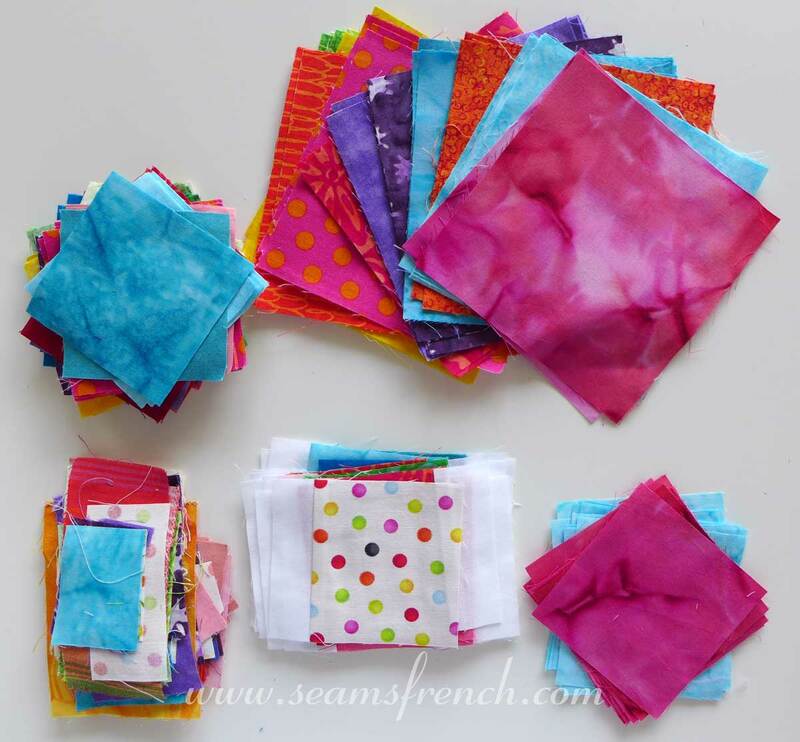 Lots of scraps left to keep concocting with! This will certainly be a bright and cheery quilt. I really admire your determination to use all of your scraps. 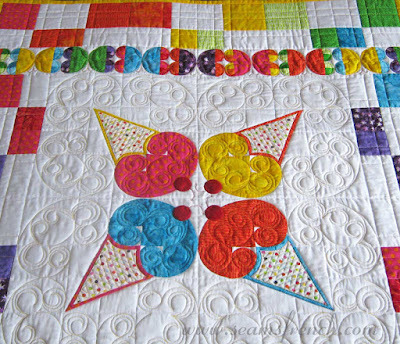 I like making baby/children's quilts, partially because of the bright cheery colours. 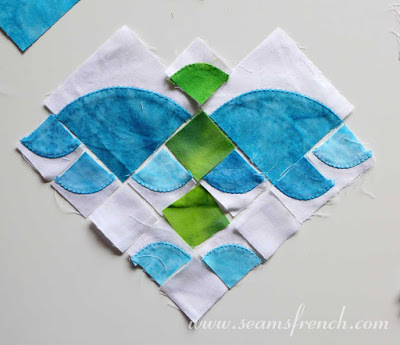 These scraps were just begging to be used because I had so many pre-cuts and pre-appliqued pieces left over. It's coming together a lot easier then my first scrap attempt. Still having fun, but it's taking a lot of my sewing time. I'm not so sure how much I like that! 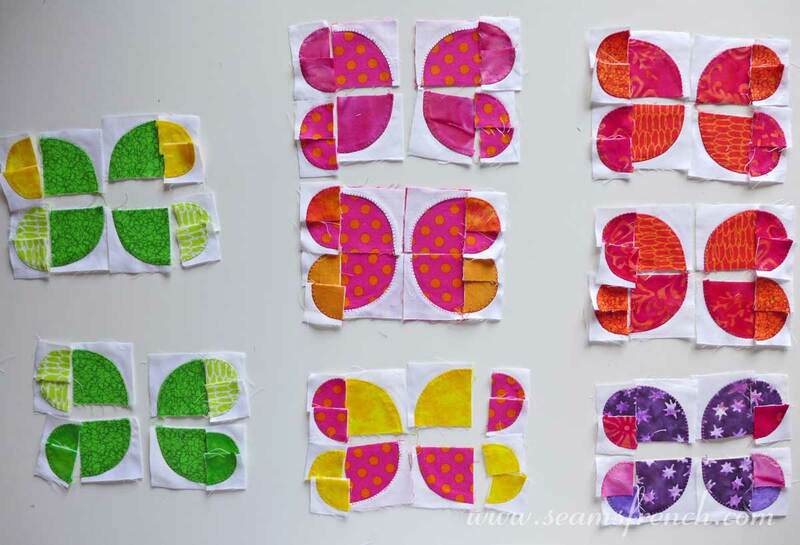 What a spectacular set of butterflies! The addition of the "body" does improve the design, I think. And the birds are pretty too. 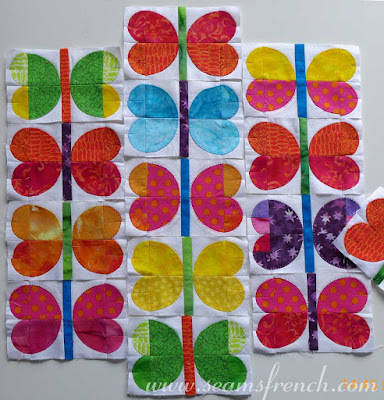 It's going to be a really cheerful and fun quilt. Looking good! Thanks. I'm having more fun with this one then with my first scrap/improv.